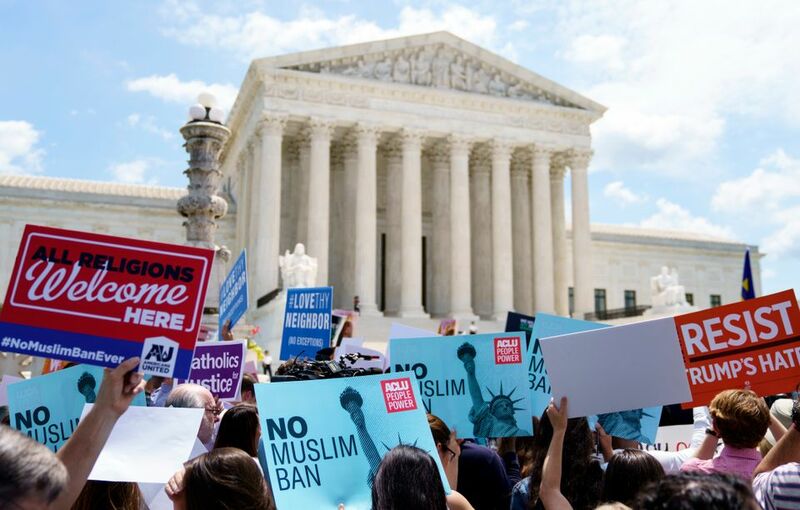 On Tuesday (26 June), the US Supreme Court voted to uphold the executive order known as the travel ban, which bars travellers from seven Muslim-majority countries from entering the US. The court’s close 5-4 decision has potentially stifling implications for cultural exchange in America, as artists, scholars and patrons from the targeted countries are affected. Christine Anagnos, the director of the Association of Art Museum Directors (AAMD), which co-signed an amicus brief challenging the legality of the ban with more than 100 major institutions, says the court’s decision raises “concerns that a number of programmes and events our member museums have in place—and, more importantly, are planning for the future—will be affected”. Pen America released a statement yesterday arguing that the court’s decision is “a blow to cultural, intellectual and artistic discourse and a rejection of America’s commitment to open exchange”. In the letter, the chief executive officer Suzanne Nossel writes that the decision “affirms prejudice and erects boundaries, [and] sullies the United States’ reputation as a standard-bearer for the free and open exchange of ideas”. The College Art Association of America reposted its statement from earlier this year against the ban, saying it "not only goes against the inclusive, secular underpinnings of American democracy, it stifles the open access to scholarship and art upon which our work is founded… The contribution of immigrants, foreign nationals, and people of all cultural backgrounds greatly strengthens our intellectual and creative world." On social media, artists like Richard Prince, Marilyn Minter and Raymond Pettibon posted comments and retweeted news stories on Tuesday denouncing the Trump administration, and Deborah Kass posted a photo from an spontaneous protest against the ban in New York, where thousands of people marched from Foley Square near City Hall to Battery Park. But when we reached out to a number of artists and curators after the Supreme Court’s decision, many declined to comment further on the issue, hinting at the dispiriting effect it has already had on the art world. Early consequences of the travel ban have already begun to unfold. As we reported in April, even artists who were born in the countries targeted by the ban, but who are American or European citizens, have faced hurdles travelling to the US for work. Last month, the Los Angeles County Museum of Art launched a comprehensive exhibition of contemporary Iranian art, but many of the artists included in the show could not attend the opening. The New York-based Iranian curators Mahya Soltani and Kiana Pirouz, who organised the exhibition Before We Were Banned earlier this year, a show to celebrate the artists of the countries identified in the travel ban, told us in a joint statement that “acts of xenophobia like this are not new in the US and they rely on false narratives to dehumanise the people affected and stoke fear in the American people”. In the second iteration of their project, on view from 7 July to 5 August at the East of West gallery in Santa Fe, the curators “invite people to heal through art and community as well as support immigrant artists”.